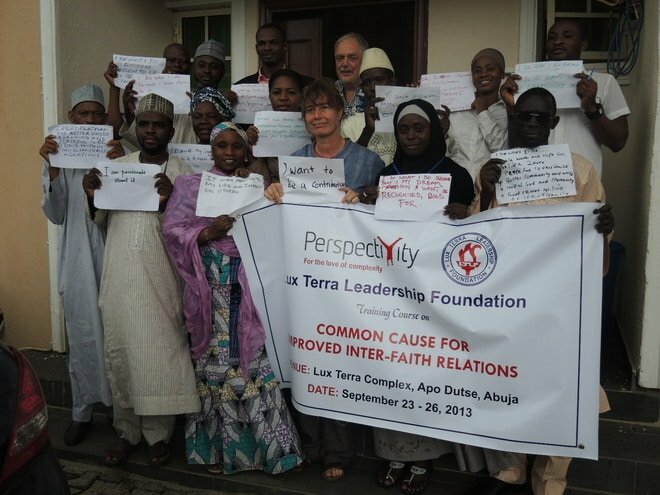 In Nigeria Perspectivity completes the first training for 15 participants from 5 organisations working on inter-faith dialogue. The programme consisted of 4 modules of 1 day each: complexity awareness, self-expression, appreciative understanding and sustainable peaceful coexistence, – key elements of the Perspectivity model, see Passion-code. On the photo: WDYDWYD during training for facilitators of inter- faith dialogue for Lux Terra Leadership Foundation.